Google says one of the most popular ways people use Google Assistant is to listen to music and podcasts. And later in 2019, the Assistant will work with even more popular media and entertainment devices. Digital assistants seem to be one exciting category at the ongoing CES 2019 as intelligent voice assistants are being adopted by home appliances and gadgets of all sorts. Interestingly, there is a lot coming from both Google as well as Amazon. In fact, Google is getting aggressive and plans to take on Alexa. The latter has sold 100 million devices with Alexa-on board till date. Whereas, Google expects Assistant to be available on one billion devices by the end of January, which includes smartphones, smart speakers, headphones, and other form factors. The company claims to have introduced the best of Google services and AI to the Assistant and is focused on building the most helpful digital assistant for home, car and on-the-go. Bringing Google Assistant to a lot many products and devices, the search giant has previewed Google Assistant Connect. The platform has been designed for device manufacturers to integrate the Google Assistant into their products in an affordable and easy-to-implement way. Connect uses Google's existing smart home platform to expand to new device types, while making device setup and discovery simple for people. For example, a partner could create a simple and inexpensive e-ink display that continually projects the weather or your calendar, while using Assistant Connect to deliver content from the linked smart speaker. Google says one of the most popular ways people use Google Assistant is to listen to music and podcasts. And later in 2019, the Assistant will work with even more popular media and entertainment devices, including TVs from Samsung. For instance, with a voice command, one will be able to turn on the TV, change channels, control volume and even switch between inputs. At CES, many TV makers including Sony, Philips, TCL, Xiaomi, Haier, and JVC are showcasing and launching Android TV devices with Google Assistant. Currently, Google Assistant works with over 1,600 home automation brands and more than 10,000 devices worldwide. At CES, Google is working with even more brands to launch new smart home devices this year. Lenovo has come up with a Smart Clock for helping users manage their morning and evening routines. 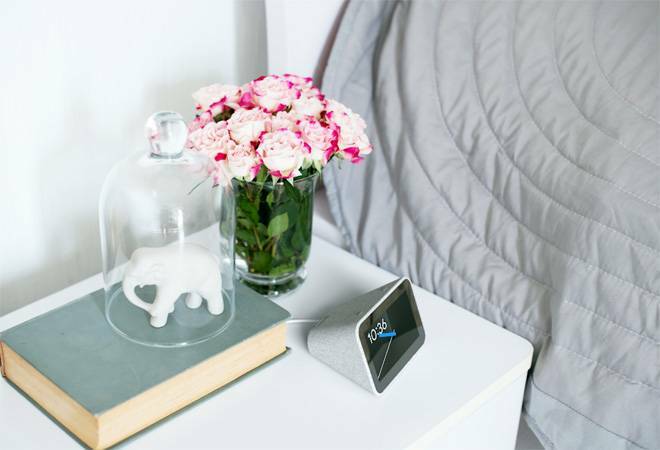 It features a 4-inch touchscreen that displays alarm suggestions based on daily routines, gently wakes up with auto-adjusting screen brightness and animations, and controls smart home devices. Whirlpool has previewed a 10-inch display with Google Assistant, which can guide users through cooking recipes from Yummly and simultaneously controls smart home devices. Other new devices and appliances that will incorporate Google Assistant will include Instant Pot's Smart WiFi Programmable Pressure Cooker, Sub Zero's refrigerator and wine storage, Wolf E-Series and M-Series ovens, Cove dishwashers, U by Moen shower, McAfee's Secure Home Platform, eMotorWorks' JuiceBox Level 2, SolarEdge's EV Charging Solar Inverter and more. There will be a new 'Gentle Wake Up' Assistant feature with Philips Hue that will simulate the sunrise 30 minutes before the morning alarm.